There are totally 6 theaters in karaikudi. PANDIAN CINEMAS is Karaikudi’s principal entertainment zone, with three Theatres -Pandian, Sathian and Sankar, where you could have access to the latest technology. You are assured of a good movie and dining experience with the family after a hard working day. Easily accessible with good parking, it is movie viewing minus hassles. Ticketing is automated and error free. We also can organize door delivery of tickets. Tele booking facility is available and ofcourse you can book online. 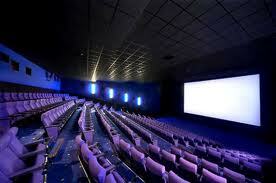 Nataraja cinemas:Theatre is the place for entertainment, joyfulness and mind relaxation. Seeing the movie in the theatre is pleasurable, and enjoyable. The theatre owners studied audience mind and interest, started to build the theatre to meet audience comfortability. Environmental ambiance, air conditioning, audio, clarity in pictures as well as refreshment including moving areas and parking of vehicles. This concept was foresighted by promoters of Nataraja Theatre situated in Karaikudi nothing but a person called MS Ramaswamy chettiar in those days when public were not Heard about moving picture theatre . The man who got a great idea to promote a well Aesthetically, modern theatre with all sort of facilities including appearance and placement of seats and affordability of audience etc. The theatre is a master piece in those Days and audiences were keenly attracted to see picture movie in this theatre. All credit to this concept goes to a man with a greater vision, hailed from a nattukottai chettiar. Now this legacy is being carried forward by one of the grand son to rejunivate the entire concept of theatre experince in the same place with ultra modern Technology for exhibiting movies in the Name of Nataraja Talkies. The Theatre is situated in karaikudi enroute to Devakottai .